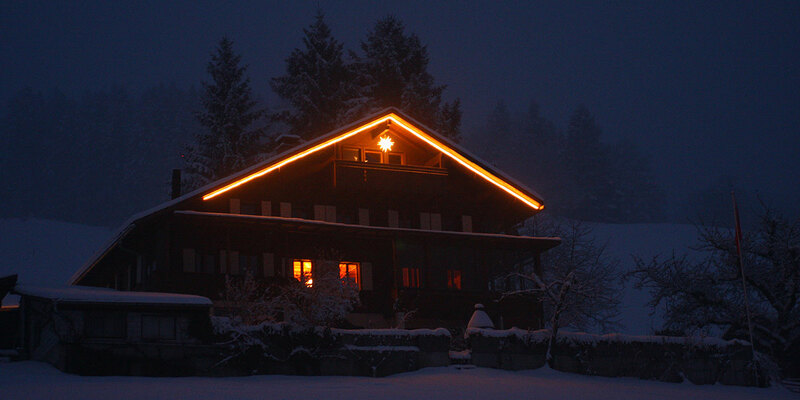 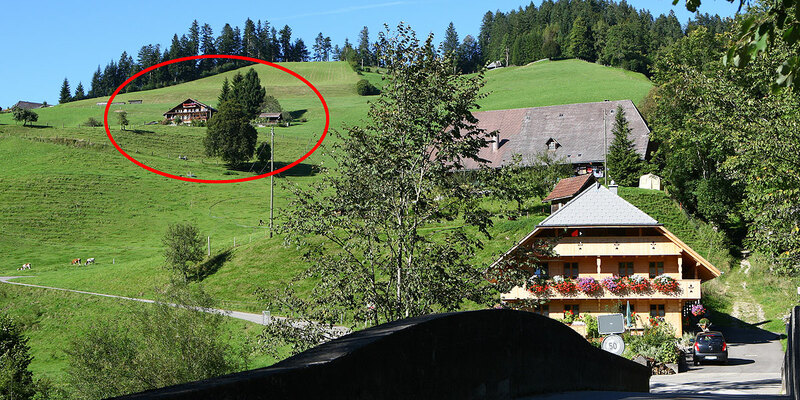 The Berghaus is situated on a slight incline above the village of Eggiwil. 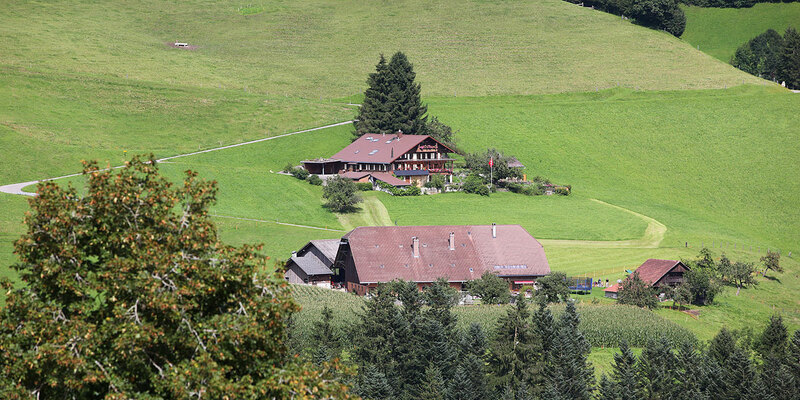 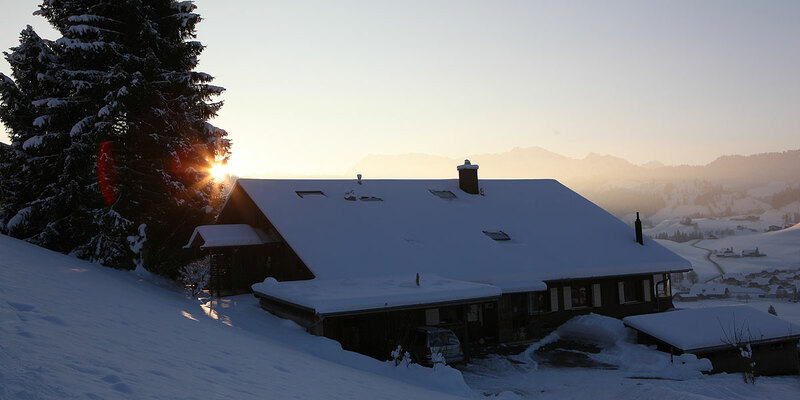 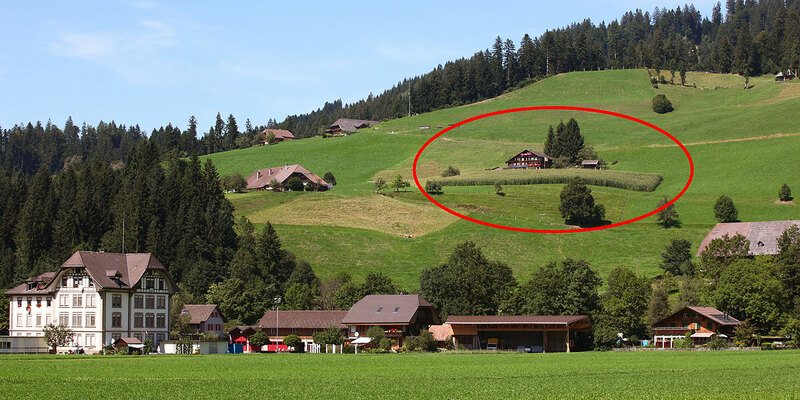 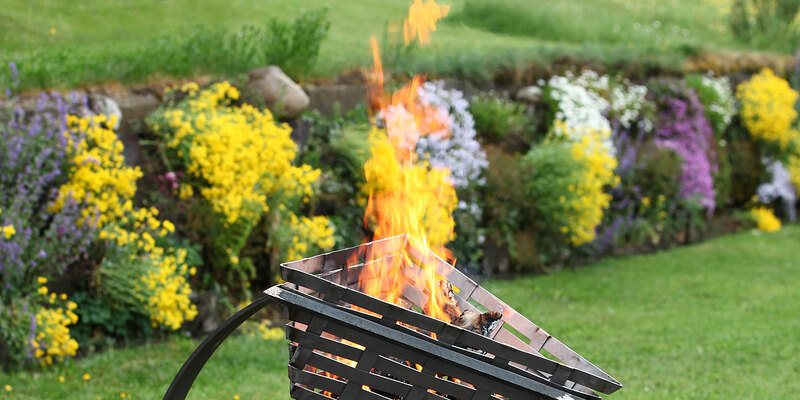 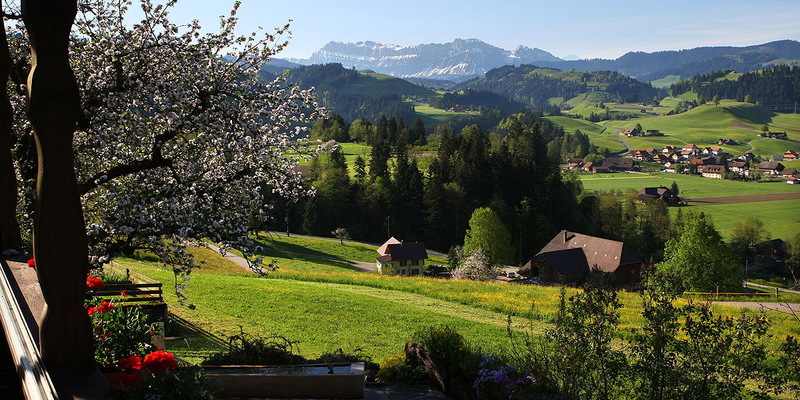 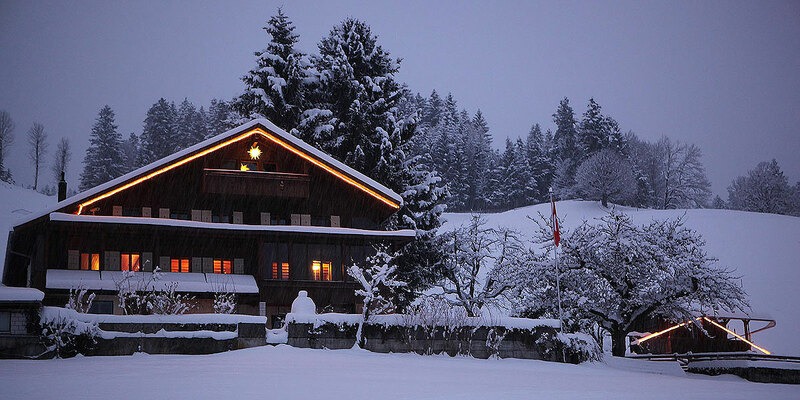 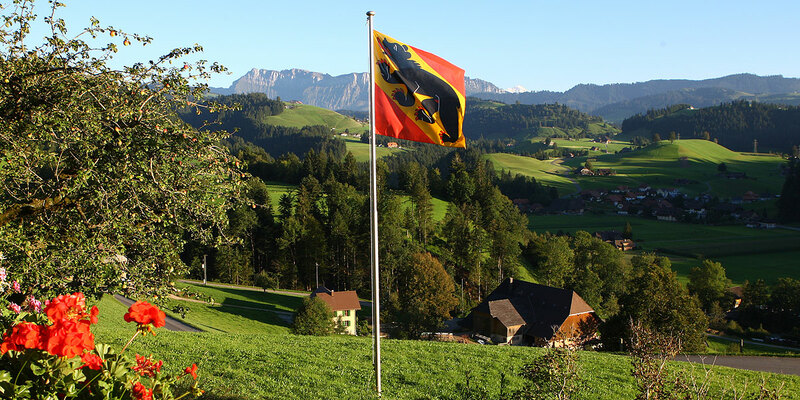 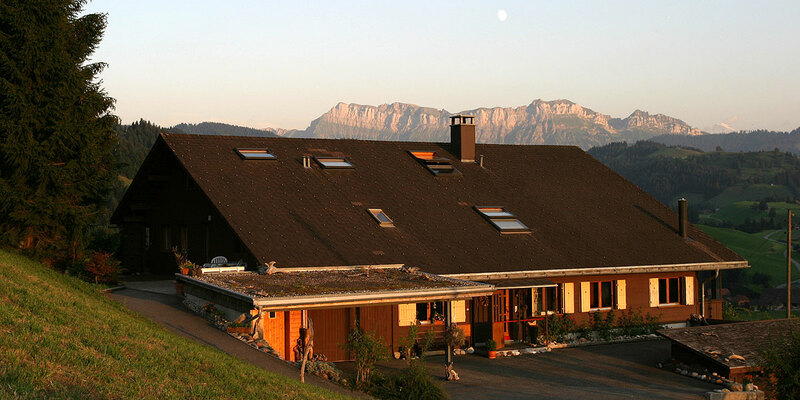 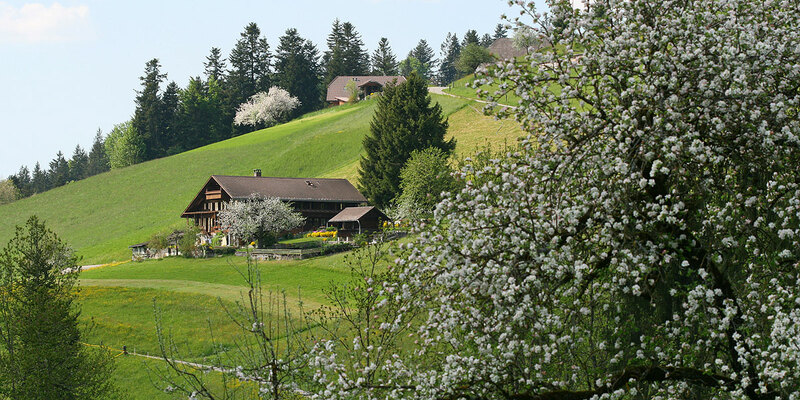 From here we have wonderful views across the hills and woods of the Emmental as far as the Hohgant and to the Jungfrau in the Bernese Oberland. 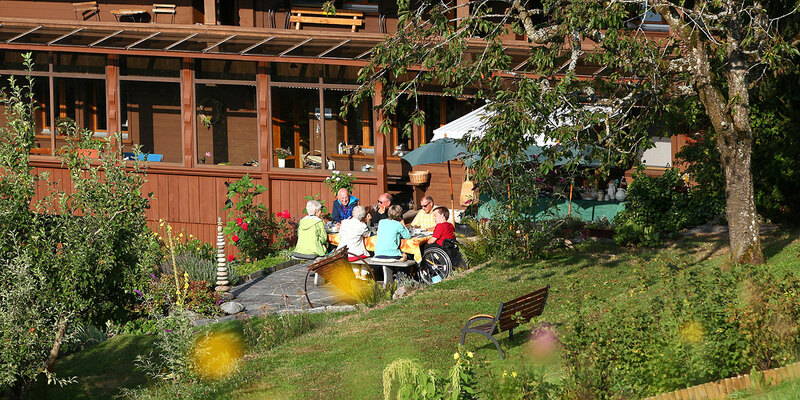 Our sunny terrace and large attractive garden invite our guests to relax for a while, enjoy some friendly companionship with other guests perhaps - quite often some interesting conversations ensue - or you may prefer to find a quiet spot in the shade of a tree and read a good book, or simply chill out and enjoy 'just to be' for a while. 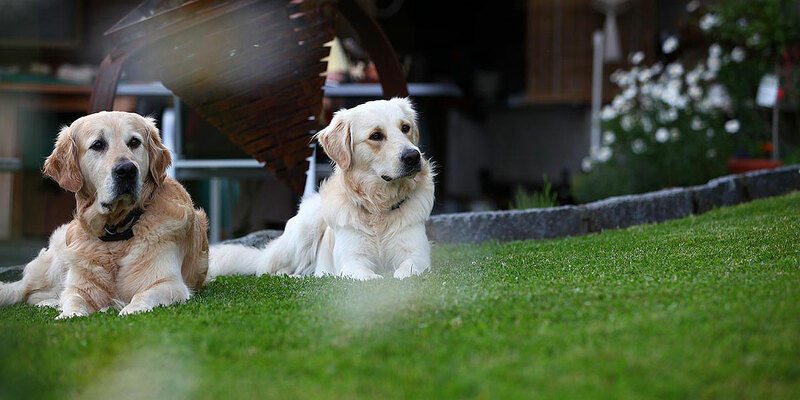 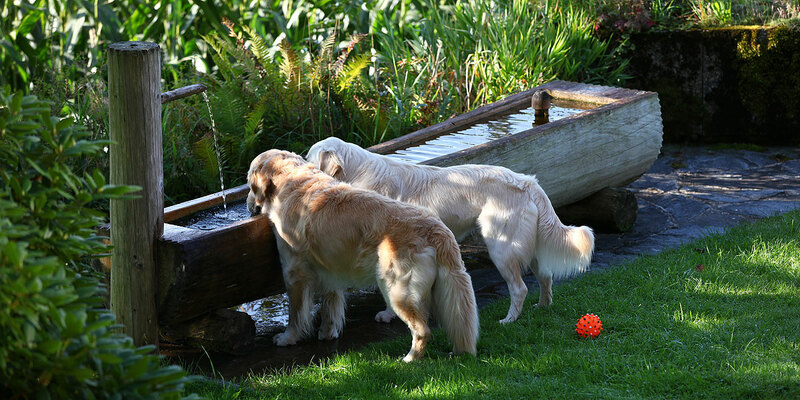 Our Golden Retrievers, Sky & Benji, enjoy the company of children. 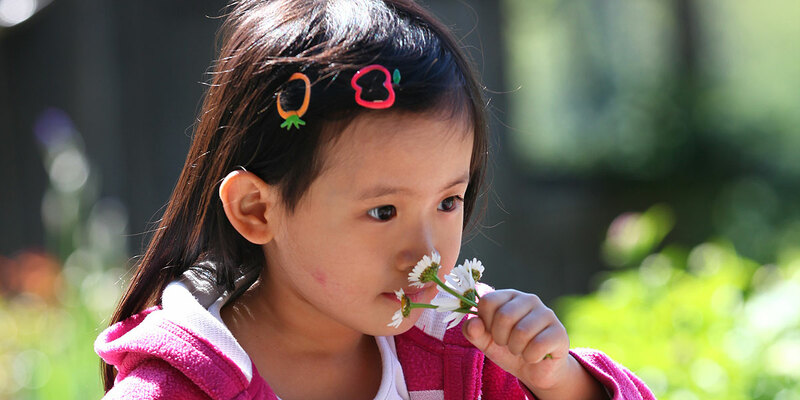 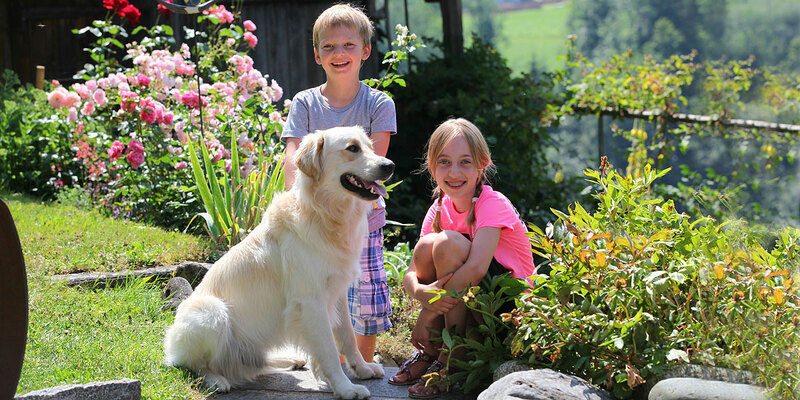 For a number of our guests' children it has been their first close encounter with a dog. 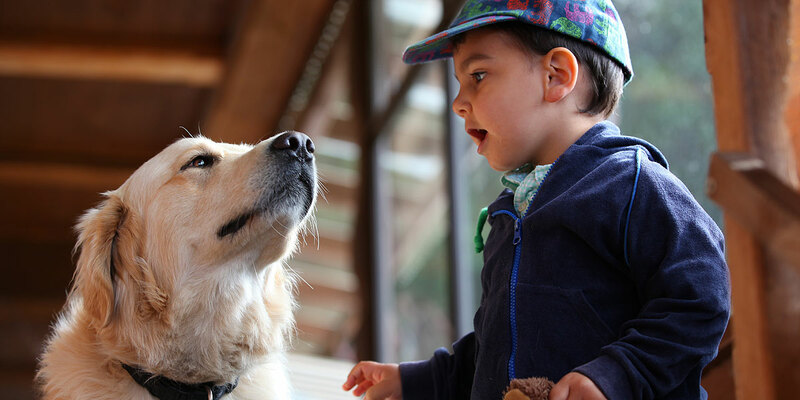 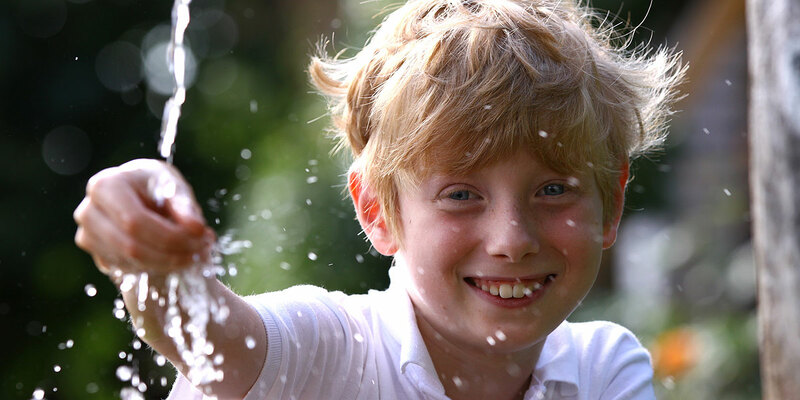 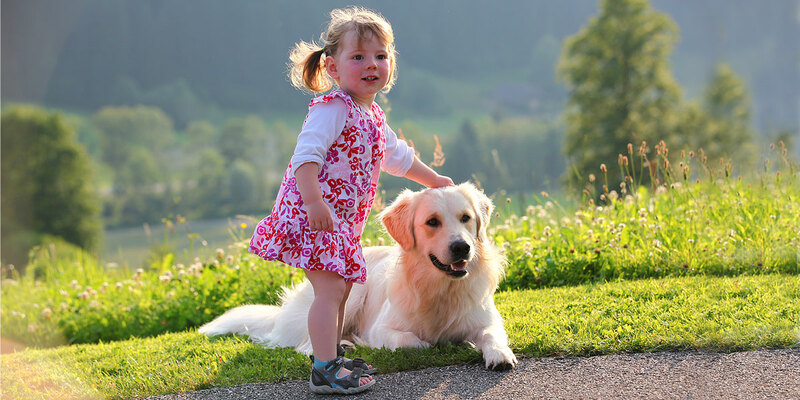 It is often really rewarding to observe how, after initial anxiety and hesitation, a child's confidence can grow and a warm and trusting friendship develops between child and dog. 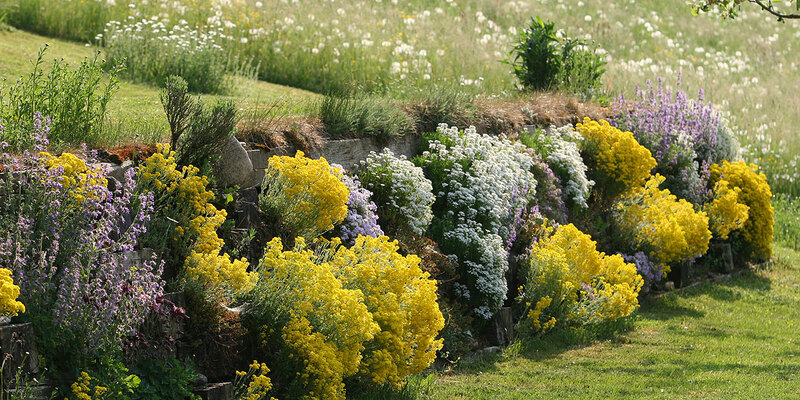 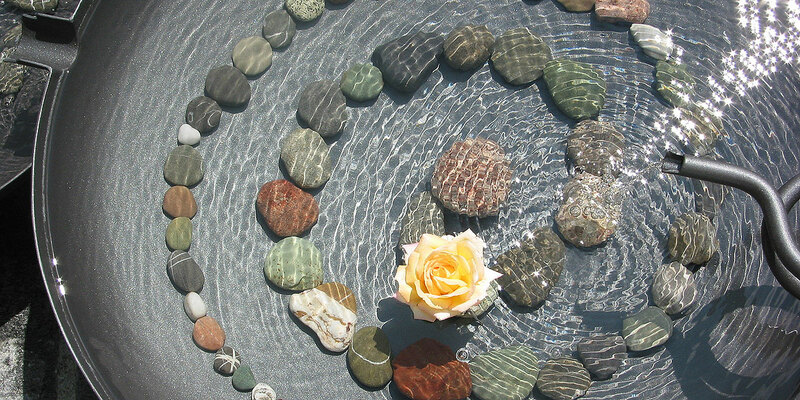 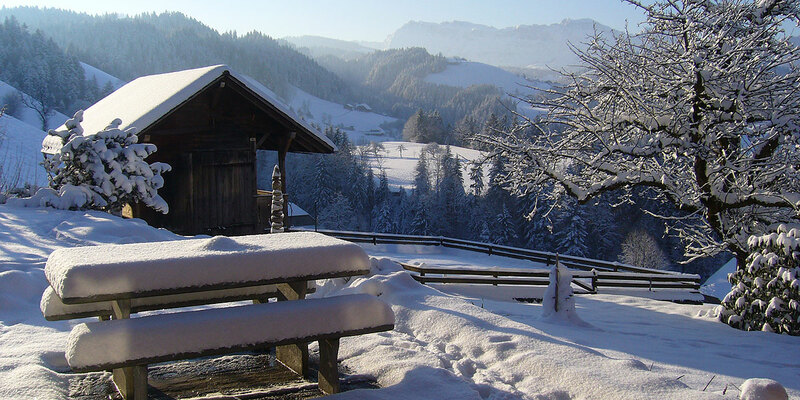 Such encounters and experiences sometimes make a holiday, however short, especially memorable. 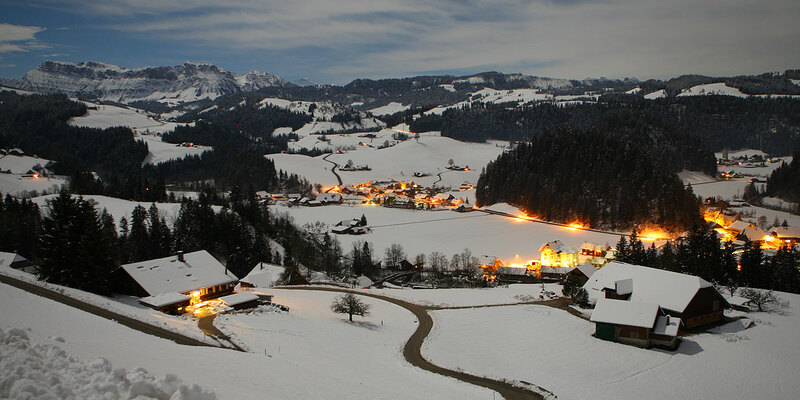 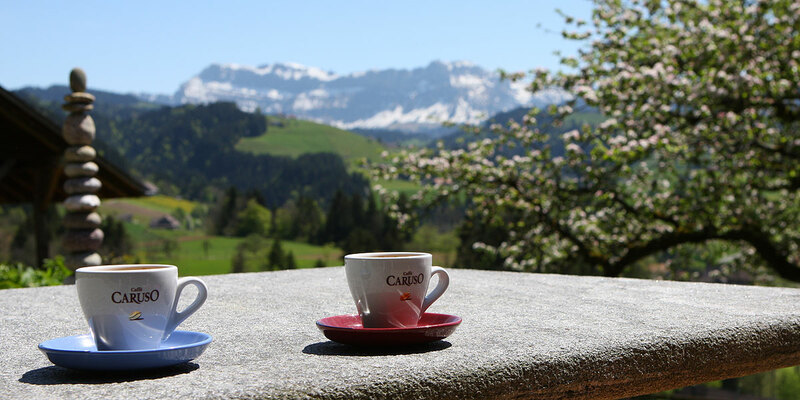 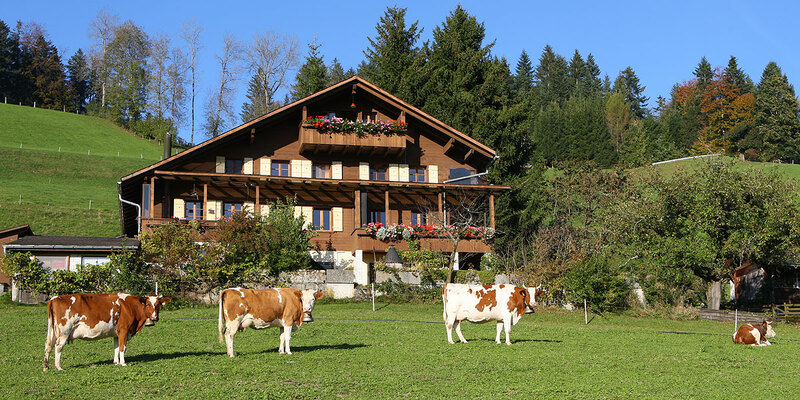 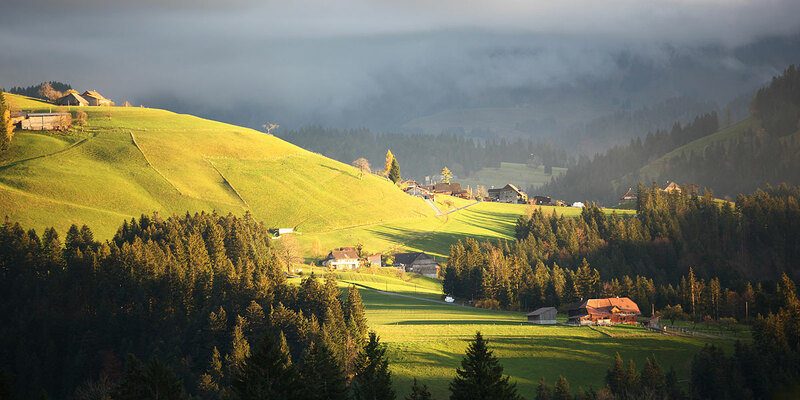 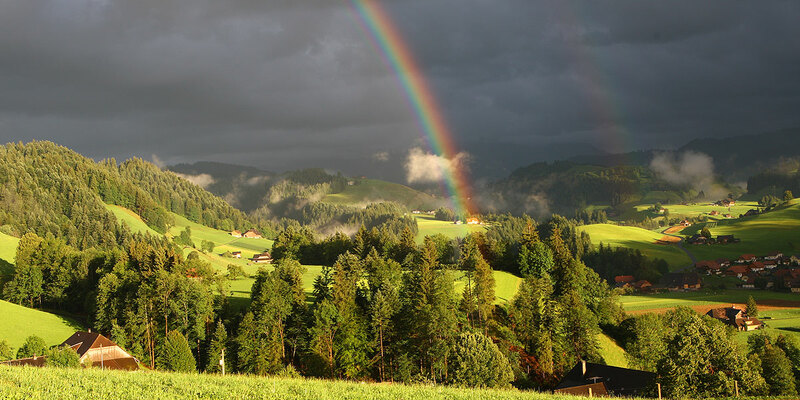 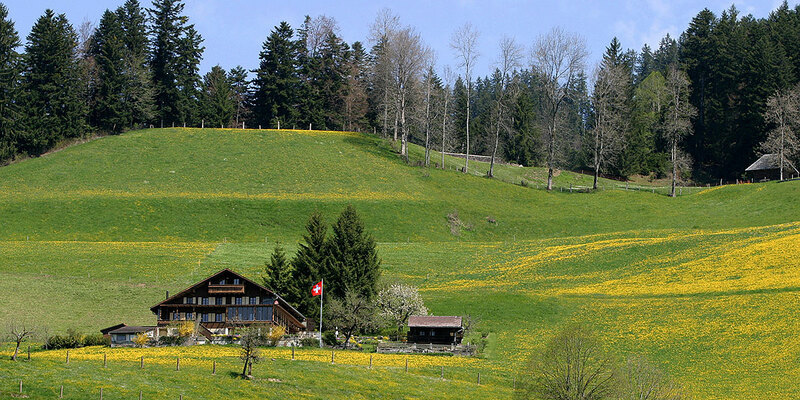 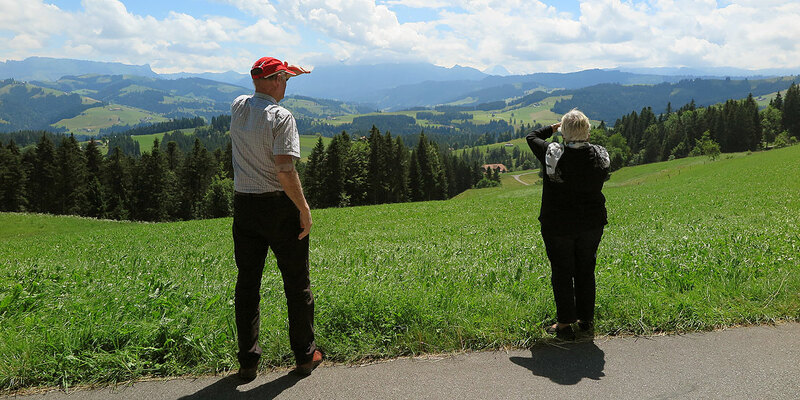 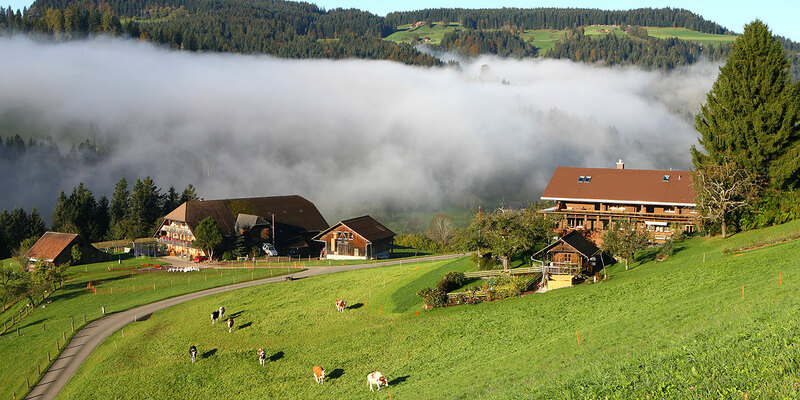 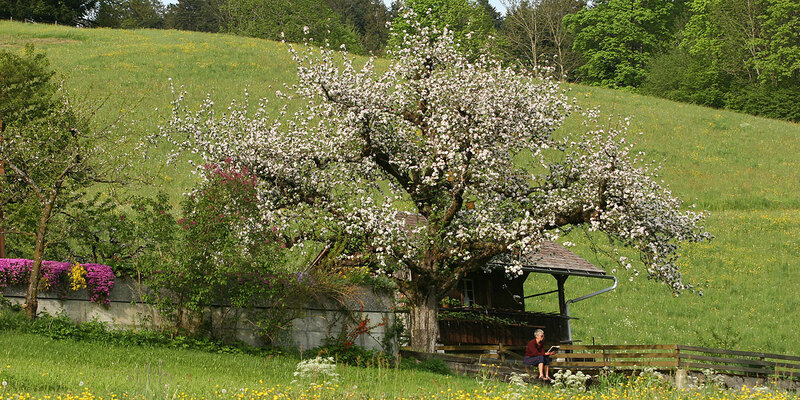 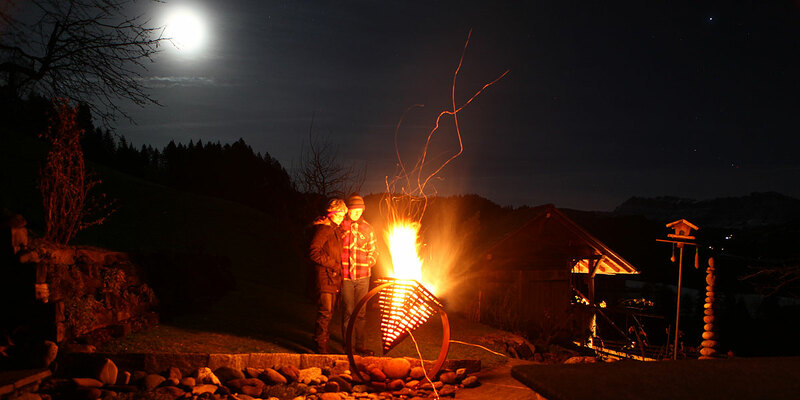 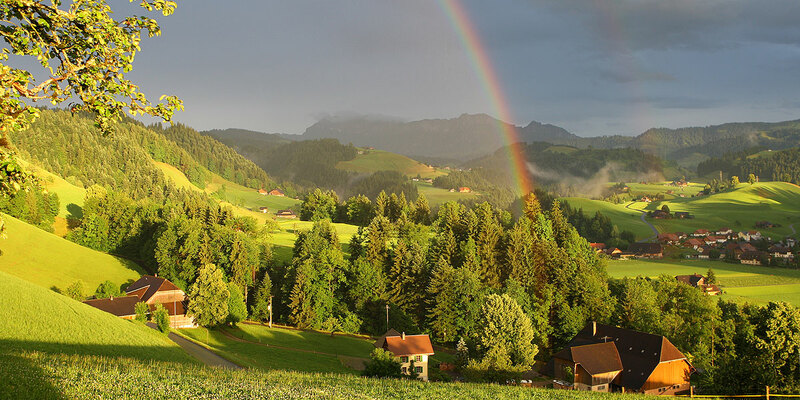 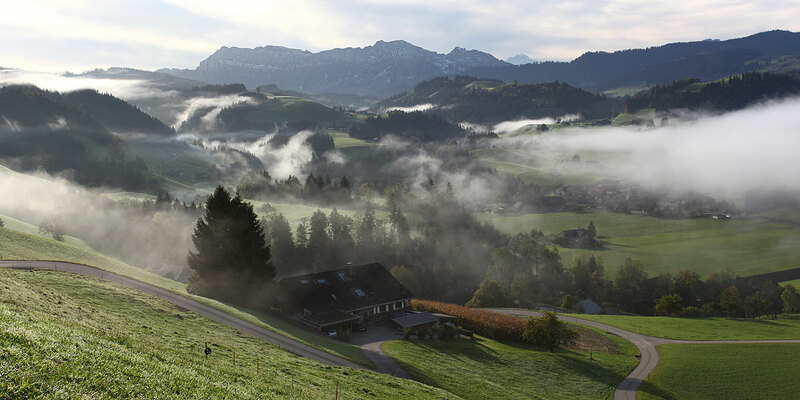 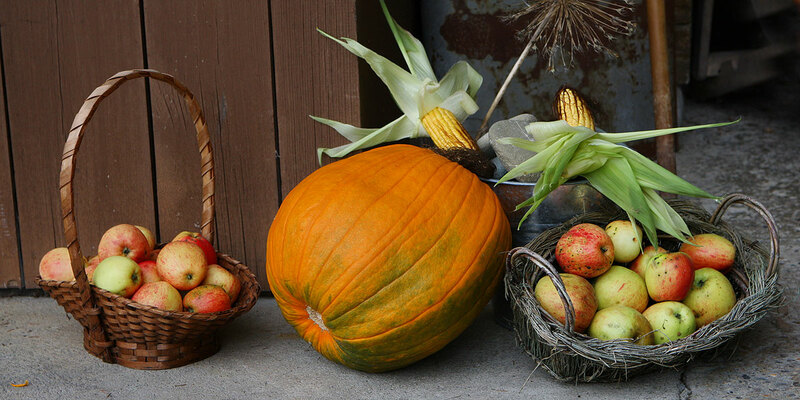 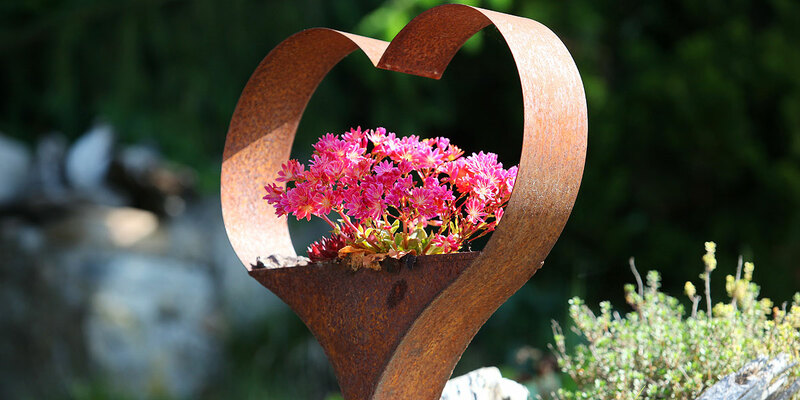 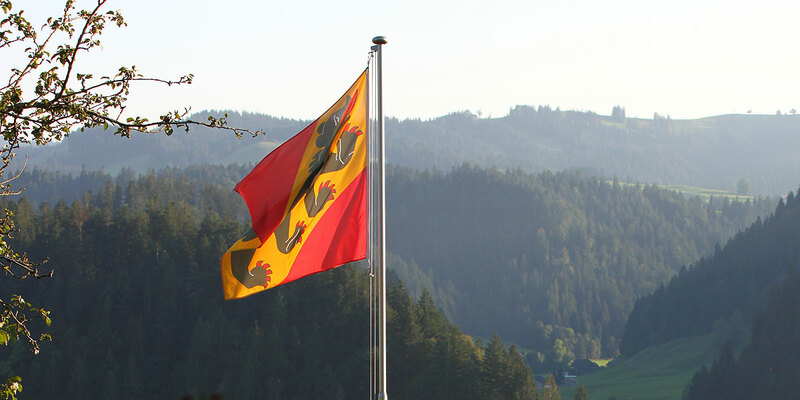 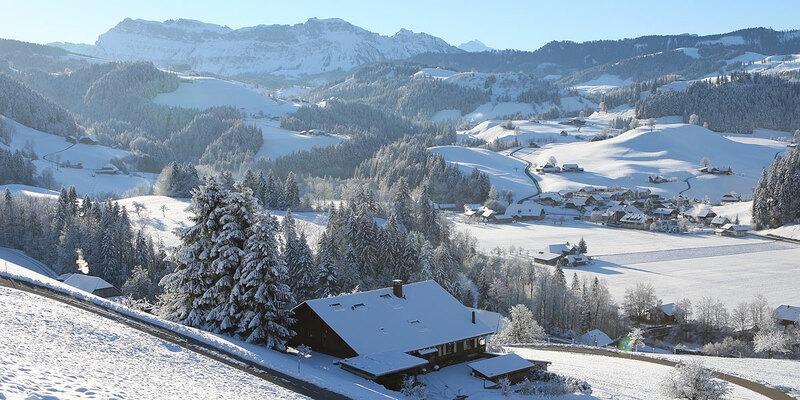 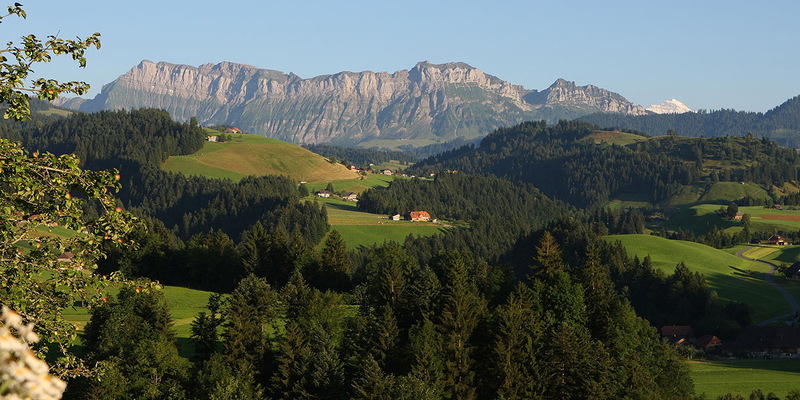 Why not come and visit us in the Emmental and experience for yourselves how our unspoilt landscape has been an unexpected revelation to so many of our visitors who have enjoyed it immensely and often return, sometimes many times, to re-discover anew how much the Emmental means to them.